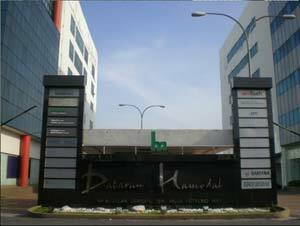 Dataran Hamodal is located in the main districts of Section 13 Petaling Jaya. Offering office and warehouse space for rent compromises of 2 blocks, Block A and Block B. Block A is cater for warehouse and office use and Block B only for office use. Located within industrial area, Dataran Hamodal offer good office and warehousing space for rent and lease servicing the corporate sector.